Please note: The Presage® ST2 Assay is CE Marked and received FDA clearance for use in risk stratification of chronic heart failure patients. ST2 may not be used for any other purpose. If you are reading this outside of the US or Europe, please check with local regulatory authorities to determine if ST2 is cleared for sale in your country. If you have any questions, please contact Critical Diagnostics. Heart failure is responsible for 11 million physician visits each year, and more hospitalizations than all forms of cancer combined.2 In fact, one-fifth of all hospitalizations have a primary or secondary diagnosis of heart failure. Heart failure is the number one reason people aged 65 or older are hospitalized. Cardiac biomarkers are substances that are released into the bloodstream when the heart is damaged or stressed. In patients with chronic heart failure, measurement of these biomarkers is used to help risk stratify, to assess treatment options, monitor progress, and guide in-hospital and post-discharge care. ST2 is one such biomarker. ST2 is a soluble protein expressed by the heart in response to disease or injury. ST2 levels change quickly in response to changes in the patient’s condition, and when used in conjunction with other clinical parameters, help physicians make informed decisions on an appropriate course of action to take. Numerous published studies have demonstrated that the level of ST2 in blood can predict patient outcomes. Measuring ST2 via a simple, non-invasive blood test allows for the early identification of high-risk chronic heart failure patients for re-hospitalization and mortality versus those at lower risk. Additionally, ST2 levels are not adversely affected by such confounding factors as age, gender, body mass index, history of heart failure, anemia and impaired renal failure. ST2 has a single cutpoint, removing any guesswork, making clinical decisions easier. In spite of all the advancements in medicine, over one million Americans end up in hospital for heart failure each year. 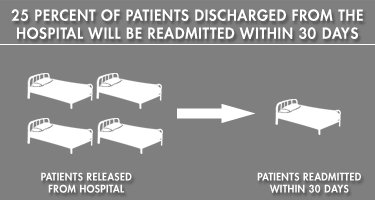 More alarming still, one in four will be re-admitted within 30 days of discharge and approximately HALF will be readmitted within six months. Newly-enacted US government regulations are forcing increased emphasis on reducing these rehospitalizations. As of 2012, hospitals with rates of rehospitalization significantly higher than expected lose a percentage of their Medicare reimbursement across the board, beginning at 1% of total reimbursements—and an additional percentage point in 2013 and again in 2014. There are solutions, however. For instance, intensive disease management programs have been demonstrated to reduce 30-day rehospitalization and mortality rates, and therefore improve outcomes while driving down costs. The Presage ST2 Assay from Critical Diagnostics allows prognosis and risk stratification of these chronic heart failure patients, which, in turn, provides an essential element to disease management programs, enabling physicians to select those patients who are identified as requiring focused care. Using ST2 as part of a patient management program may potentially reduce 30-day rehospitalization rates. A: ST2 is expressed by the heart in response to disease or injury. ST2 levels change quickly in response to changes in the patient’s condition, and when used in conjunction with other clinical parameters, help physicians make informed decisions on an appropriate course of action to take. Critical Diagnostic’s Presage ST2 Assay is a simple blood test that aids in risk assessment of chronic heart failure patients. A: We should preface this answer by saying that the Presage ST2 Assay is cleared for use in risk stratifying chronic heart failure patients. To answer the question, then, by way of reference, the median normal concentration for ST2 is 18 ng/ml, while concentrations greater than 35 ng/ml are strongly indicative of increased risk of hospitalization or death. Likewise, patients with ST2 levels below the cutpoint are at decreased risk for hospitalization or death. It is also important to appreciate that risk is not dichotomous. The single cutpoint of 35 ng/ml is very informative and provides valuable clinical insight, however numerous publications show that risk of adverse events increases as ST2 concentrations increase. A: ST2 and natriuretic peptides (NPs) are measures of separate and distinct biological processes. NP's are markers of hemodynamic instability or myocyte stretch, whereas, ST2 is a biomarker of disease progression and fibrosis, is a powerful and clinically useful biomarker for prognosis, and when used in conjunction has the potential to help identify patients requiring focused care. Q: Is ST2 affected by any confounding factors? A. ST2 is not affected by age, gender, BMI, or impaired renal function. A: Importantly, ST2 gives an early signal for short-term events, functioning as a trigger for initial fibrosis and the cascade of events leading to cardiac remodeling. From published data Galectin-3, on the other hand, is an intrinsic mediator of systemic fibrosis which includes cardiac remodeling and is thought to reflect a later stage of the disease process. 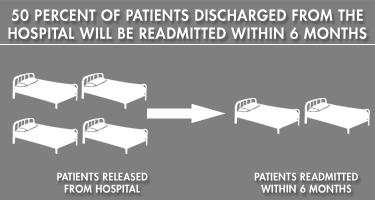 A: Of the over one million Americans that end up in hospital for heart failure each year, an alarming one in four will be re-admitted within 30 days of discharge. Newly-enacted US government regulations are forcing increased emphasis on reducing these rehospitalizations. As of 2012, hospitals with rates of rehospitalization significantly higher than expected lose a percentage of their Medicare reimbursement across the board, beginning at 1% of total reimbursements—and an additional percentage point in 2013 and again 2014. The Presage ST2 Assay from Critical Diagnostics, allows prognosis and risk stratification, which, in turn, may provide an essential element to disease management programs that provides physicians with a means of identifying those patients with chronic heart failure who are identified as requiring focused care. Q: What is the format of the test? A: Currently the only format of the test is available on is an immunoassay, 96 well manual ELISA plate. We have other formats in the pipeline including a point of care test and an automated platform. Q: Where can I get the Presage ST2 Assay test? A: Currently the test is available at several reference labs in the U.S. Click here for a list of preferred laboratories. You can also purchase kits through Critical Diagnostics.